Welcome to Online Gambling Bible’s TV Show Betting Guide. Believe it or not, millions of people enjoy betting on reality TV shows nowadays and it’s fascinating to see the odds shift and swing as the performances take place during the likes of The Voice or X-Factor. If you want to know more about betting on a particular show, just click on the link below. Don’t worry if a link isn’t live, it’ll be coming soon, so make sure to check back. When it comes to betting on reality TV, the best thing you can do to make a profit is watch the show itself, only then can you get firsthand experience of how the judging is going or how the contestants are performing. Although every series of every reality show differs there is certain patterns to the betting that you can learn to understand. For instance in Britain’s Got Talent (BGT) pop perfomers tend to perform badly winning just one of the seven previous series. Certain shows show winner bias, either in Age, Gender, Location. Read all our guides for some of this information. Use social media websites such as Facebook and Twitter and message boards to get an idea of what people are saying about the show. Specialist events like Eurovision or The Oscars have websites and forums which enable you to gain some insider information. How is a winner crowned? Is it done through public vote, judges vote, a combination or voted for by other contestants? You need to know the rules of the game before you play. Not the band, but the story. It is rare that the act that wins is the one that comes across as perfect in the first moment, people love to see a development in a person. To steal the line from Pulp Fiction. It is not enough to be a huge talent or skillful at the game, but the person must come across as humble,likeable, interesting. The voting public can take someone they like a lot further in a competition than their talent should have. 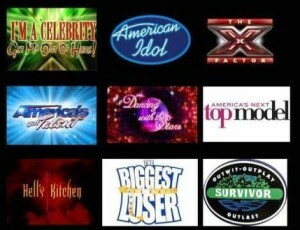 Reality TV betting is not sport, there is little concrete examples of form to assess who should win. What sportsbooks have is a number of ideas of previous winners and knowledge of the format of the show to guess at prices, but if you think you know different then this can benefit. In the 2010 Series of Strictly Pamela Stephenson despite scoring highly for a number of weeks continued to be overlooked and remained one of the outsiders., because the sportsbook thought she was too old. Pamela came third and rewarded each-way backers or those who backed her on the exchanges. Look for those who will not burn out in one week or two, in the same way do not be afraid to oppose those who started strongly. Do a little research into viewing figures and see who views the show you are betting on. Women are less likely to vote for women, unless they see some aspirational qualities in them. Put yourself in the place of the audience. Finding the moment to make the bet is key, by waiting too long into the process you may miss out on the value of a price, but by acting too early you might not be aware of all the information needed, Grab yourself a laptop, mobile or tablet and use this when watching the show to be sure to act at the right moment. Hopefully this will help you become a reality tv betting expert.